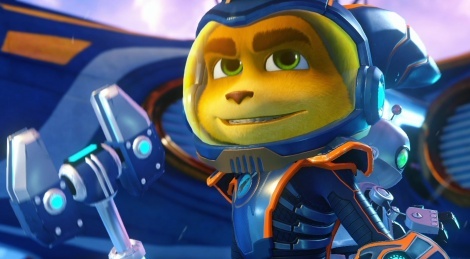 Now we are finally allowed to show you more than the first two hours of Ratchet & Clank, here is a couple of new videos of this excellent episode. Inside, you'll get a sneak peek at some of the exotic planets which await you in the game, but we've also put up a stress test video showing that despite a few drops, the framerate is doing a good job at maintaining enough frames per second to make the game enjoyable even in worst case scenarios. It would be interesting to see GPU time spent on handling particle / physics calculations. This game looks pretty impressive given the lower end hardware in the PS4. I have it pre-ordered and hope it arrives tonight to play with my son! You kids forget when making games that the hardware is only a quarter of it, then you have to have good software, engine, and teams that know how to use it all well together. REMEMBER A PC CAN IN THEORY BE A POWERFUL MACHINE DEPENDING ON THE HARDWARE AND ITS AGE, BUT THERE ARE PLENTY OF LACKLUSTER, POOR PERFORMANCE GAMES FOR IT ALSO..... It basically comes down to weather you care more about hardware and the name brand of what's in your PC or just the love and nostalgia of "Video Games". Unfortunatly this generation(PS3/Xbox360 gen kids) and the want to be PC Master Race youth only care about the later. Gamersyde, I know you mentioned a few, very short instances there were 1-2 fps drops. But its fair to also mention there were many instances where the frame rate showed that it went above 30fps. It might be the plugin bug we have. YOU DO HAVE TO BE PRETTY OLD TO USE CAPLOCKS WHEN POSTING ON THE INTERNET I GIVE YOU THAT. I LIKE BIG BUTTS! WHY ARE WE YELLING?! 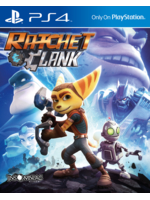 Has anybody put it to Insomniac Games yet why this game is such a great price? Because I don't think its up to Sony. I say that because I think God of War 3 Remastered was priced higher than this at launch. Can't wait to see what else they can achieve this gen. Gamestop is actually publishing an underwater game they are currently working on.